^ Rothbard, Murray Rothbard (1975). “"The Founding of Plymouth Colony"”. Conceived in Liberty. 1. Arlington House Publishers. ^ Demos (1970), foreword pp x. ^ Demos (1970), pp 66. 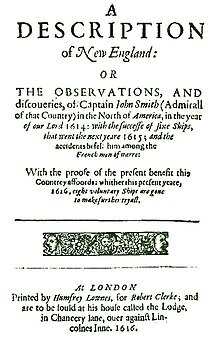 Historian John Demos quotes a 1667 contract between John Phillips and Faith Doty which states "The said Faith Doty is to enjoy all of her house and land, goods and cattles, that shee [sic] is now possessed of, to her owne [sic] proper use, to dispose of them att [sic] her owne [sic] free will..."
^ Nason, Elias (1890年). “Swansey Massachusetts, 1890”. Massachusetts Gazetteer. 2007年4月3日閲覧。 note: some confusion exists over the correct spelling of Swansea. The modern spelling is used here. Addison, Albert Christopher (1911). The Romantic Story of the Mayflower Pilgrims. The Plymouth Colony Archive Project. http://etext.virginia.edu/users/deetz/Plymouth/addisontxt.html 2007年4月30日閲覧。. Colonial America:Plymouth Colony 1620 A short history of Plymouth Colony hosted at U-S-History.com, includes a map of all of the New England colonies.